Harry Kane marked his World Cup debut with a stoppage-time winner as England made hard work of overcoming Tunisia 2-1 in its Group G opener. Six shots on target in the first half, several shots off target which should have been in the back of the net and 1-1 at the break; when the halftime whistle blew in Volgograd between England and Tunisia, seasoned England fans will have nodded their heads and thanked their stars for their lucky escape. England began their 2-1 win against Tunisia like a side on a mission to forget recent disappointments and from the start Gareth Southgate’s young guns went for it, using the width of the pitch and playing with pace and style to carve Tunisia apart time after time. But this might not be enough when they face a quality side like Belgium who have a ludicrous amount of talent available in all departments. 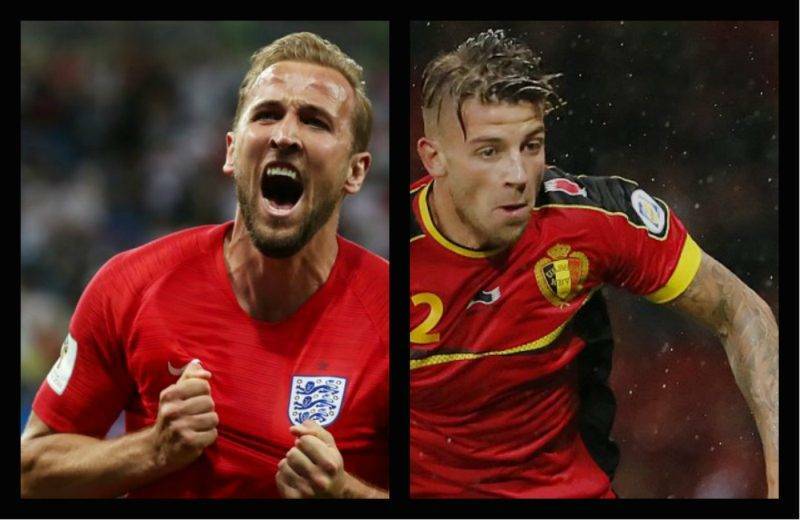 In the heart of defence, Belgium really are not short of options. Kompany, Toby Alderweireld, Jan Vertonghen and Thomas Vermaelen provide the team with a watertight structure at the back. Paris Saint-Germain’s Thomas Meunier will provide the width down the right and is never afraid to get forward when the opportunity arises. Belgium may struggle down the left though, with Atletico Madrid’s Yannick Carrasco recently being deployed in an unusual position of wing-back in the country’s pre-World Cup friendlies. Belgium have a ridiculous wealth of talent all over the pitch but do appear to lack depth in central defence. Toby Alderweireld made his eighth appearance in 2018 alongside Jan Vertoghen and Dedryck Boyata, with Vincent Kompany ruled out through injury. Martinez chose Boyata, who joined Celtic from Manchester City in 2015, to be the captain’s replacement after impressing when given a chance in tournament warm-up games. The 27-year-old looked composed on the ball and stuck to his task in defence.In the first half, Belgium occupied 62 per cent of possession which could tempt Martinez to switch to four at the back in order to get more players involved in attacking areas.